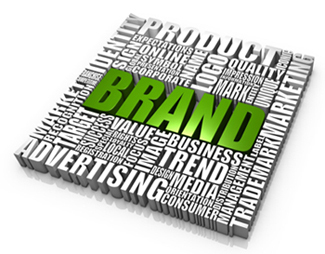 A common question is…what is in a brand? Is it the pretty pictures that represent the faces of our company? Is it the logo? Is it the look and feel? What about the social media presence? Is advertising part of brand? Is public relations a component? If you notice, the item not listed is what does the brand stand for and what does it mean? We have to begin with what are we trying to be and the words that we associate or want to be associated with us. Words like trusted, inspired, advocate, partner are good to have and unfortunately, they are overused. Let’s put our brand promise in human terms that all of our teams know and understand. Let’s make a statement. We are going to be the best says nothing. I am not a fan of this line in the first place, but if you are going to use something like this then at least explain…the best at what? When you really determine what and who you want to be, the market will respond. We all want to believe, but commitment is the glue that holds belief for our audience(s). Give your audience something to believe in, commit your teams to those beliefs and then hold your teams accountable to living up to your brand promise. This is where the rubber meets the road and where money is made. How can we convey those words/meanings to our audience(s)? Audience – who is our audience? We need to know if our audience is business to business and if so, then which industries. Is that enough? Not at all, we need to understand within our specific audiences, who are the buyers of our services and/or products. This seems all too easy and is commonly overlooked. Are we selling into the C-Suite? Are we selling directly to Managers and Directors? A target audience is important because it is where the largest bulk of our sales/marketing time is spent. We don’t vary until we determine we are in the wrong audience (don’t let that happen). Many times we say the words, this does not appeal to me; therefore, it is not good. The first thing about building out your messaging that needs to be remembered is that our own thoughts and feelings are relevant, but only to a point. If we are not part of our defined target audience then we will get a wrong read on the situation. We need to remove ourselves from the final evaluation. It is okay to do a barometer check, but if you are not testing what you are doing on your specific target audience and getting their feedback, then you are destined to be off-target. The key here is to remember, who is our buyer? All of this applies to businesses with multiple target audiences and business to consumer as well. Where is the money? (ROI)! Too many times, I hear that we did a branding thing and we can’t really measure ROI. Or, I am not going to do this activity because it is a branding thing and it won’t have ROI. These statements are made from lowered expectations. Budweiser made us all think frogs have something to do with beer – branding. But they were selling something. For example: they measured effectiveness on store sales during promotion periods, they measured by market and they measured by media vehicle. Some measurement is more time consuming then others, but the reality is that establishing your brand and driving awareness does not lack ROI. Goals should be established for what would determine success in advance and while some things will exceed our expectations, many others won’t. Evaluate what happened and drive for better media, better messaging, better ROI because your brand matters, but not without ROI.